Beyond Virtualization there various aspects of a data center like installation of new servers, management. Problems in the Data Center is an interesting article to anyone who has a Data Center or who has no idea about a Data Center. Those who are new can also read an interesting article – Building Your Own Data Center. When we had said a few years ago it was not been so important from practical aspects, but virtualization technology has become a major part of web hosting as well as computing. The transition from virtualization to cloud computing and the first step so this enabling technology is important. Virtualization and automation problems in the data center – most are concerned with networking and the issues are real for today’s data centers and ISPs. Virtualization once deployed in the data center, requires service operations around it, starting from the network and the need to automate certain procedures. We believe that the automation system is now essential, even more so if we want to provide cloud computing services : the number of machine in data centers is increasing constantly, not just automating the creation and management of VM is all, you also think about the rest in this article named Beyond Virtualization : Problems in the Data Center. Automation is mainly involved in the networking technology around the hypervisor to get the full benefits of virtualization. A network platform resting on data center management and automation can minimize errors, might result in increased flexibility and possibly cut the running costs of virtualization. Port numbers and the network parameters mismatch is a common issue. This is among the various parameters parameters those affect the performance og guest OS. Incorrect IP addresses or incorrect protocol settings that disrupt the services. When a virtual server is updated or is under maintenance, the destination settings must have the correct network settings. The above are the technical parts. 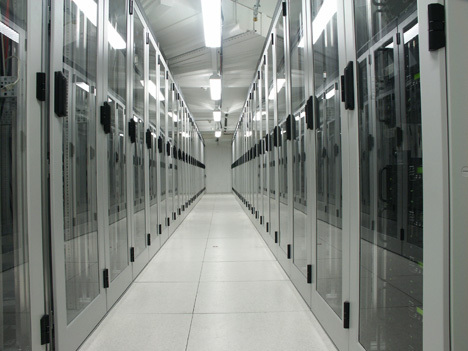 We have talked about the other points in the articles like Data Center Cooling and Server Cooling, Virtualization of Data Center and Management Overhead and Factors Which Affect Efficiency of Data Center. This Article Has Been Shared 945 Times! Confusing Promises in Private Cloud Services leads to misunderstandings to the new users. These promises are made to catch new clients but the impact to the user affects. Cite this article as: Abhishek Ghosh, "Beyond Virtualization : Problems in the Data Center," in The Customize Windows, February 7, 2013, April 24, 2019, https://thecustomizewindows.com/2013/02/beyond-virtualization-problems-in-the-data-center/.